Before I get into my post, I want to start by saying that it’s Monday morning and I’m feeling positive! Alex is getting better, though he’s still not back to school. It was cold enough that the buses aren’t running today, so it’s likely too cold for a kid who’s getting over pneumonia to breathe out there. Tomorrow, though! Fer sher. But the word “echo” got me thinking about other things. Because there’s really nothing truly unique in the world, everything is an echo of what came before it. Never exactly the same, just like a real echo. History repeats itself, stories are retold in different ways, yet nothing is original. Makes you wonder how it all started, doesn’t it? I blame the chicken. Or was it the egg? 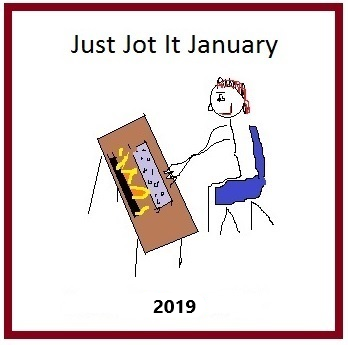 Categories: Blogging, Blogs, Just Jot it January 2019 | Tags: childhood memories, frustration, History, Humor, humour, inspiration, JusJoJan, life, originality, philosophical ramblings, writing prompt | Permalink.